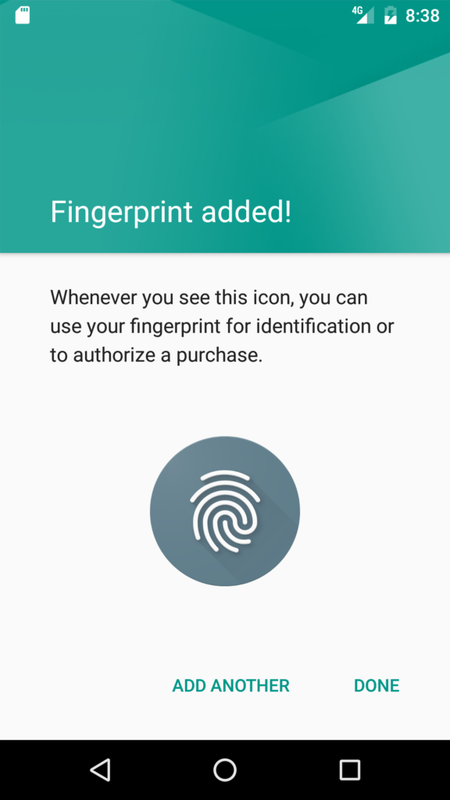 A fingerprint app uses the smartphone touch sensor to authenticate the user. Android Marshmallow has introduced a set of API that makes easy to use touch sensor to develop an Android fingerprint app. Before Android Marshmallow the method to access to touch sensor was not standard. 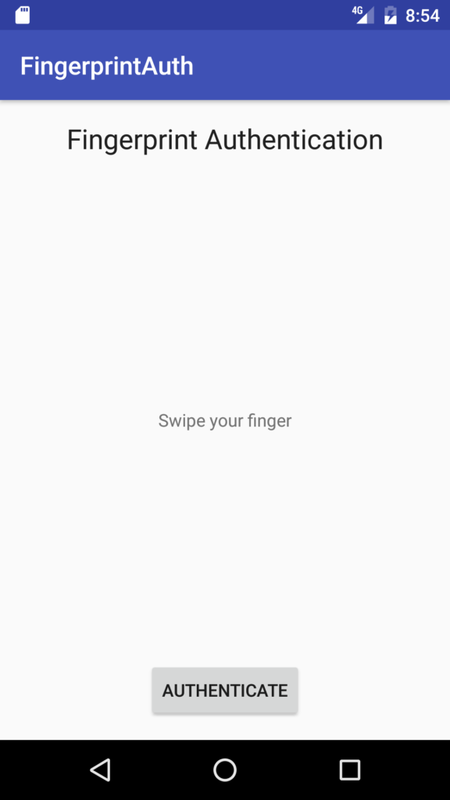 There are several steps you have to follow before using Android fingerprint authentication and at the beginning, it could seem really complex but this tutorial will guide you step by step to develop a fingerprint app. That’s all! !..We will implement these steps. Now it is time to create our main activity class that handles all the authentication process. Notice that, the authentication app verifies that, at least, one fingerprint is registered otherwise the authentication process can not start. 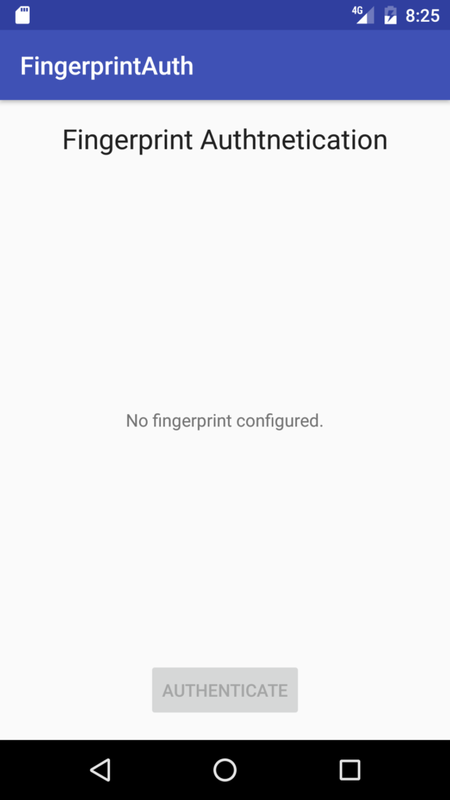 The image below shows a message error when the app does not find a fingerprint registered. If everything is ok and all the conditions are satisfied, the authentication app generates the key and accesses to the Android store. The next step is accessing to the Android keystore and generate the key to encrypt the data. The app does it in a separate method called generateKey(). Notice that we specify the usage of the key: encrypt and decrypt and that the authentication is required to use the key itself. At the end, the app generates the key (last line). Cipher cipher = Cipher.getInstance(KeyProperties.KEY_ALGORITHM_AES + "/"
It is time to assemble all these methods and create the Android fingerprint authentication app. This app is very simple and it has a MainClass that calls the methods shown above and starts the authentication process. There are a few things to notice. First of all, the Android app creates a CryptoObject that is used in the authentication process. Moreover, the app shows a button and when the user clicks on it the authentication process starts. The button is disabled if the initial conditions described above are not satisfied. The most important thing to notice is a new class called FingerprintHandler. This class is a callback class that receives the authentication process events. 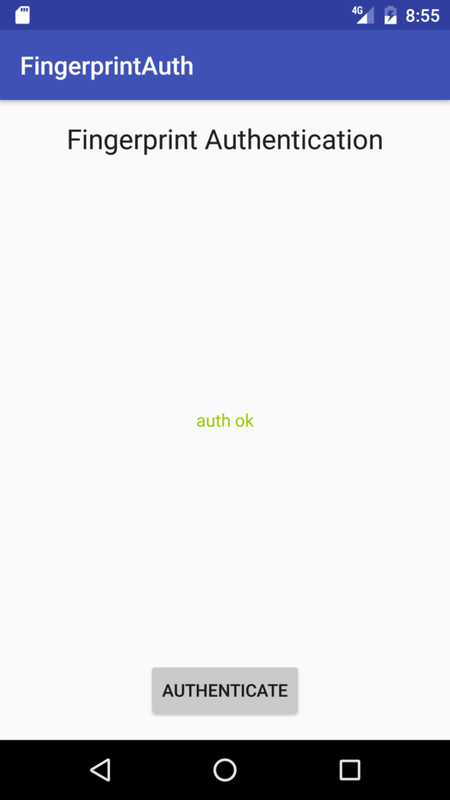 Moreover, this class starts the authentication process with doAuth method. The last step is creating the callback class so that we can receive event notification and we can know when the authentication succeeded or something went wrong. This class extends FingerprintManager.AuthenticationCallback. In this case, the user is authenticated using Android fingerprint authentication. 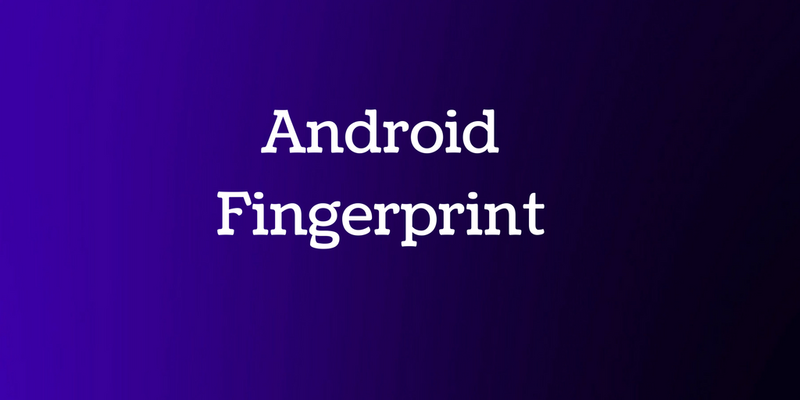 At the end of this post, hopefully, you gained the knowledge about Android fingerprint api and how to develop an Android fingerprint example app. how to list my all fingerprints name it’s possible? Hi Francesco. Thank you for writing this article. I found it very useful! whether there is a separate fingerprint recognition for a application other than device in-build fingerprint authentication.if any source code(in JAVA) is there please send it to me. whether there is a separate fingerprint recognition for a application rather than the device in-build.if there, please send the source code(in JAVA).